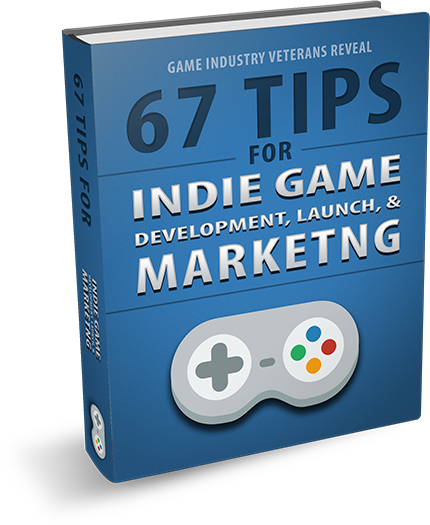 Today, I want to talk about what I think is absolutely the number one thing that every indie developer has to know about marketing. They have to do this or they are going to fail unless they have a massive marketing budget behind them. This is very simply. You’ve probably heard it in one forums or the around the internet, but it’s the concept of working out loud. And what I mean by that is just everything that you do put it online for people to see. I know that’s easier said than done right so hear me out. The concept of WORKING OUT LOUD. This was something that I got from a PR agency that I worked in, but I also got it from a ton of articles from some of the research that I did. When I started working with clients in my marketing company, I realized that sharing stuff on the social web in this new paradigm of social interactivity is really important. People love the behind the scenes view of what’s going on in their favorite stuff, and I combined all of the social media recommendations with a lot of personal stuff that I learned along the journey, building a digital marketing company, helping out games and software developers build their audience and user base. I wrapped it all into a concept I call Work Out Loud and that’s all it is. You just work out loud. To put this in perspective, I know a lot of developers that are actually streaming their development on Twitch now. The reason they do that is for a couple of reasons. Some say that when they stream live it actually helps keep them stay focused because they have an audience watching them and they can’t mess around on YouTube or do any of that stuff. These people are watching them for game development. That’s one reason— but that’s beside the point. The second reason is that it allows people to see you working. They see your game and they see it progress. When it finally comes to release time and they’ve seen all these different versions of it, they feel invested in it. They want to see the final product and they want to be a part of it. I think it works even better off of live platforms like Twitch. Twitch is probably the place where it works the least but it still works great. It works better in little snippets and little montages; little pieces on social platforms and social sites like Facebook, Twitter, and Instagram. These are pieces of content that can be consumed outside of the live stream. I love live streams. Live streams work really well. The only thing that I don’t like about them is they’re usually very particular to specific people at a specific time. You have to be on Twitch at that time to watch them; otherwise you have to watch it in a video form or whatever. One of the reasons I like YouTube is because I feel like it is set up more like an archive of videos that you make weeks, months, and years ago. They can show up in recommended feeds and other people can still consume them in the future because it’s not time dependent. Facebook, Twitter, and Instagram are all slightly time dependent, but Twitch is super time dependent. You want to build content that can be shared in a variety of different ways. On Facebook, Twitter, and Instagram, it’s really helpful to just do your development out loud and this is where a lot of developers do it wrong. They understand that concept, they get the idea that they should share what they’re working on, but then they obsess over the little things to share. They’re like, “Oh, that’s not that interesting I shouldn’t share that”, “No one really wants to see this code”, or “What am I supposed to do take a screenshot of code?” They have no idea what to share or what to get out there. That’s why I kind of wrapped it in a concept called Work Out Loud because I think it can help you put into perspective what to share. It’s not a hundred percent important to only share the progression of your game. Progression is great and it’s one of the easiest things to share because it’s exciting. As a developer, when you make a new art piece or you add a new mechanic, it’s fun to share that off because you feel accomplished and you want to share it with other people. The actual act of Working Out Loud on social media can be very beneficial. For example, it doesn’t have to be all game related. It doesn’t have to all be game progress or game related. You can take a picture of a coffee next to your code and just say, “It’s one of those days” or something. You can do all kinds of different things by taking your work and putting it out on some of these social platforms. There are plenty of examples out there. My recommendation to anyone that wants to do this is to go on Twitter—Twitter is a great place to go because of how they have their search laid out. Search #gamedev and #indiegamedev and all the different hashtags related to indie game development and just look at what people post. Many times, it’s screenshots or animated gifs. I want you to actually click on the profiles of some of these people, go through their recent tweets, and find some people that you really like. You can use them as models, sometimes you can even copy what they’re doing, piece for piece of content. If you have any restrictions or you’re worried about, “Oh this is stupid.” Find someone that continually posts and post the same kind of content. If they post an animated gif of their little dude moving, running, and jumping, do that with yours. If they post a cool little quote from one of their characters, do that with yours. That’s a really simple way to get out of your head and understand the kind of stuff to post. After you do this for a while, it actually gets easy. Sharing becomes second nature and it’s a lot simpler than it sounds. You have to look at it as an integrated form of marketing and development. You create this unison of development and marketing together. It’s really effective from a mental standpoint. Letting people watch you trying to make a game is also effective from a marketing standpoint because you’re giving people an inside look into how your game is being developed. They will then be involved emotionally in your game when it finally comes out. That’s all I have on that concept, I hope you found it useful. If you have any ideas, opinions, or comments on this, please leave a comment below, I would love to hear from you. Next story Do You Ever Feel Guilty Or Scared Of Selling Your Game?